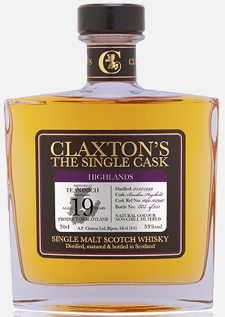 A couple of months ago the very kind people at Claxton’s Spirits got in touch and asked if they could send me a wee box of their single cask releases. Out of sheer politeness I said yes*, and now here we are. When I popped the parcel open I was hugely excited by what I saw – a mid-90’s Springbank, a late 90’s Teaninich and an early noughties Bruichladdich to name but a few. 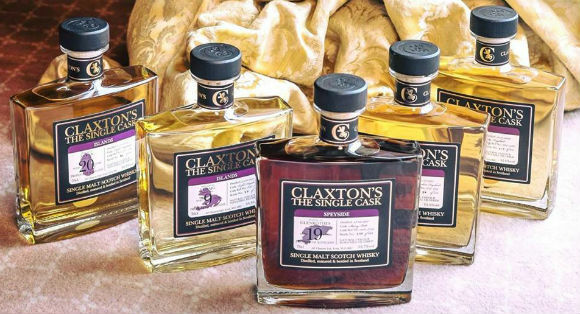 If you’ve not come across any of the Claxton’s releases, I can kinda forgive you, as they’ve only been on the independent bottling scene since 2015. 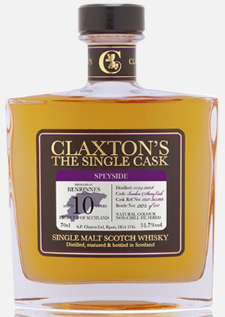 However, they’ve made quite an impact in that relatively short time frame, to the extent that I’ve used some of their single cask bottling for various private tastings I’ve hosted over the last couple of years. There’s no overlap between the whiskies I’ve used and the samples they sent, so all five drams single casks are brand new to me. Better get stuck in then, eh? Nose: Banoffee Pie, sweet nuts – cashews and macadamias – some coconut, overripe pineapple, marzipan and candied orange. Sweet and fruity! Palate: Lemon sponge, pineapple humps, and lime cordial. Then vanilla cream, milk biscuits and fresh apple and pear. Finish: Ginger zing, white pepper and fresh oak. Nose: Very inviting, lots of stewed fruits – plum, fig, rhubarb and sweet citrus. Grapefruit, Seville orange, then some cacao nibs and ground coffee. Palate: The sherry is much more evident on the palate – cinnamon swirls, hot cross buns, prunes, dates, mahogany and leather. Balanced by orange oils and lemon peel. Then come chocolate and walnut too. 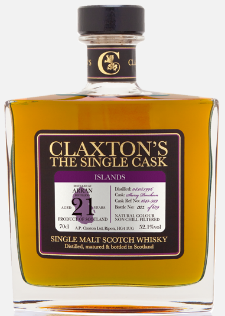 Finish: Blackcurrant, cask char, unlit cigar, and faint tobacco leaf. Nose: Really buttery, cake mix, lemon posset, dusty flowers, custard creams, caramel wafers, and white chocolate. Quite malty too. Palate: Lots of honey, violets, linseed oil, vanilla candles, orange blossom and Bakewell tarts. Loveheart sweets, icing sugar, and barley water along with a lovely mango, lychee and peach fruitiness. Finish: White pepper, freshly sawn oak and sugar coated almonds. Nose: Very briney initially, with tinned mackerel and rock salt. Then slightly mentholic, with industrial, petrol notes, and faint medicinal notes. Then the sherry kicks in – rum soaked raisins, sultana cake, Morello cherries, salted caramel, espresso and charred twigs. Palate: Thick oak, old leather, sea salt then a big hit of clove, stewed plum, raisins, liquorice, and Black Forest gateaux. There’s a farmyard-y note too, with caramelised onions, mango chutney, pickle and charred smoky bacon. Finish: Earthy spices, unlit cigar and dark chocolate. Simultaneously drying and mouthwatering. 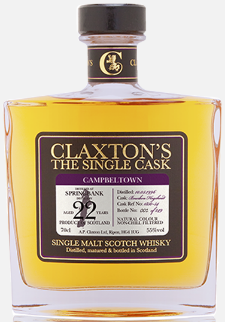 Nose: Classic Springbank nose – oily, mineralic, sooty, coal bunker dust, damp logs and mulchy leaves. Then walnuts and hazelnuts along with some green fruity, citrusy notes. 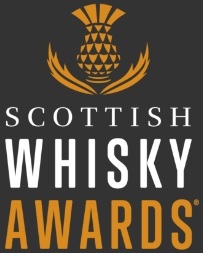 Palate: Sweet to begin with – cinder toffee, salted caramel, peanut brittle – then sweet peat smoke, leather, bark, bran flakes, bitter chocolate, clove and a rolling oakiness. Finish: Drying woodspice, old logs, charred wood and manuka honey. Overall: Five really excellent whiskies. Really top class stuff. From the young and spritely Benrinnes through to a classic twenty something Springbank, I really enjoyed every single one of the drams in the line up. They’ve set a very high standard (and I should add that the other Claxton’s single casks I’ve previously tasted have been equally as fantastic) and the price points are very competitive as well. Top marks all round. 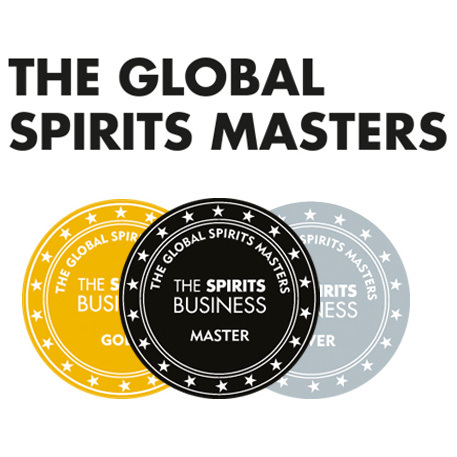 If you haven’t had the chance to taste something from these guys yet, make it a priority to seek out one of their bottlings in a bar, or throw caution to the wind and grab a bottle online. There’s really nothing which will disappoint here. * That’s a complete lie, I couldn’t wait to get my hands on these. This entry was posted	on Friday, March 8th, 2019 at 8:51 am	and is filed under Reviews. You can follow any responses to this entry through the RSS 2.0 feed. You can leave a response, or trackback from your own site.